Someone was tying red ‘It’ balloons to city sewer grates—was it a freaky clown or nah? 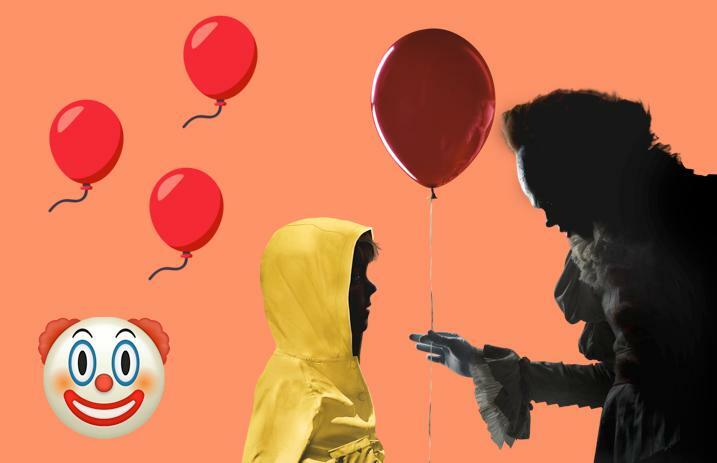 Ahead of the release of the new It movie—the latest screen adaptation of author Stephen King's popular novel about small town fear and one shape-shifting, villainous clown—someone was going around tying red balloons to sewer grates in Pennsylvania, an obvious allusion to the story's nefarious juju. But was the balloon-wielding perpetrator an evil clown or nah? Read more: How does Clown from Slipknot feel about scary clowns? Nope! It turns out the floating sewer balloons that were eerily hangin' around the town of Lititz, Pennsylvania, were simply a ruse by apparent movie lover and presumed balloon enthusiast Peyton Reiff, as reported by WFMJ-TV. The 17-year-old was obviously just “clowning around” as she and her teen friends instigated the ploy that will doutbless go down in American history books as the Great Red Balloon Caper. She tells PennLive that they “wanted to put them at places where [they] knew [their] friends would see them,” the horror-movie hoax initially aimed solely at fellow teens and classmates. A “small little thing” it was NOT. People are scared of clowns, Peyton! Anyway, we'll all float on, alright? It is in theaters today, Sept. 8.